Last night I had the distinct pleasure of catching with Tina Bartley and Kelvin Robertson for dinner and a shoot just South of Mandurah. 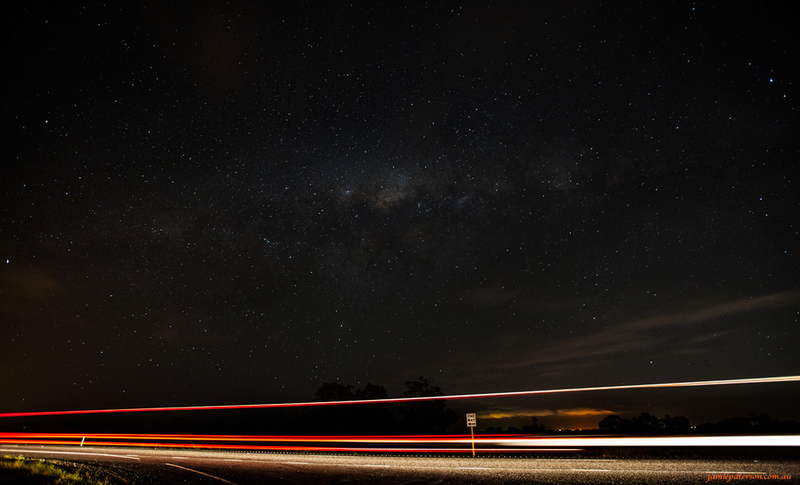 Though we were there to shoot the infamous ‘Cones’ I just couldn’t help but look up at the stars. I had to capture them. After trying to avoid any cars in the shot I thought it would be cool to have them in there. I just had this whole speed of light concept going on in my head so I thought the stars and the cars would go together just nicely and they did. This entry was posted in australian landscape photography and tagged astrophotography perth, australian landscape photography, mandurah, start photography.